Lipstick Under My Burkha's second trailer received a fabulous response on social media and the film's distributor Ekta Kapoor said: "I have no issue with CBFC. My problem is with the entire society"
Ratna Pathak Shah in Lipstick Under My Burkha. Ekta Kapoor, the distributor of Lipstick Under My Burkha, says that the Central Board of Film Certification (which initially banned the Alankrita Shrivastava-directed film because it was 'lady-oriented') mirrors the 'mindset of the society,' reported news agency PTI. "I have no issue with CBFC. My problem is with the entire society, which talks about the same thing but in its own way. So, CBFC is actually mirroring the society. We will trivialize this issue if we make it about CBFC. 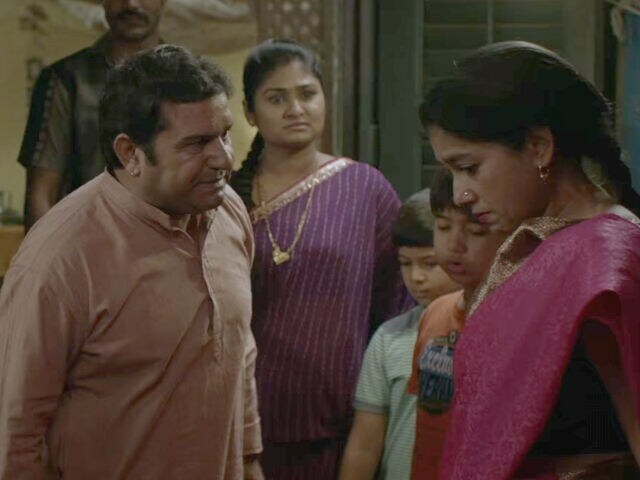 It's a larger issue," Ekta Kapoor told media at the event to launch the film's second trailer, which received tumultuous applause on social media on Tuesday. Lipstick Under My Burkha has more than 1.2 million views in less than a day on YouTube. Konkona Sen Sharma, Ratna Pathak Shah, Aahana Kumra and Plabita Borthakur are the four protagonists of Lipstick Under My Burkha, whose repressed sexual desires when come to the forefront, turn everyone's world upside down. Of the film's theme, Ekta Kapoor said: "We are so scared to feel, that now it is our second nature to be shy about our sexual fantasies and sexual desires. The film stared at me and asked me a question. As a producer you have made financial decision but it's time that as a woman you made a decision from your heart and I did that." The Censor Board initially denied certification to Lipstick Under My Burkha, which is produced by Prakash Jha. However, after the intervention of the Film Certification Appellate Tribunal (FCAT), the Censor Board gave up. FCAT directed CBFC to grant an 'A' certificate to Lipstick Under My Burkha along with a few alterations. Lipstick Under My Burkha, which has won several awards in international film circuits, is scheduled to release in India on July 21.